Using the provided 52 animal cards and blank cards to sort animals. Practice categorizing and classifying with the provided categories or make your own! Or MAKE YOUR OWN CATEGORIES! HINT: Print 2 copies and make it into a memory game! 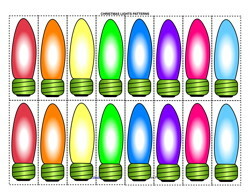 Practice Sorting with this Christmas Lights themed set of light bulbs and wires. Write letters, numbers, days, months, or anything you want on the lights and then sort them onto the light bulb wire strands to make a full pattern! See the similar products to get your ABCs, 123s, or Days & Months. 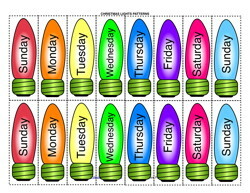 Practice Sorting your day, months, and seasons with this Christmas Lights themed set of light bulbs and wires. Sort your days and months on the lights onto the light bulb wire strands to make a full pattern! 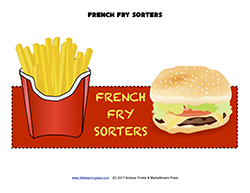 Use these french fry boxes and fries to create your own sorting activities! This set comes with 2 designs of boxes, get them with or without labels. This is a hugely versatile tool, and it looks delicious, too! 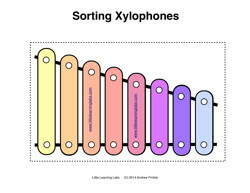 and a blank set of xylophone tiles that you can use for whatever you want. Use this cute squirrel and acorn activity to practice sorting basic math problems with addition and subtraction of numbers 0-5. Do the problems and then sort by answer. You can also sort by operations! 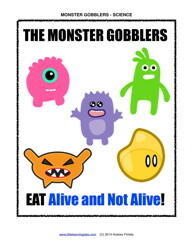 This set features 48 ready-made problems and a blank sheet to make your own. The sorting category cards are also included. equations with 3 or more numbers to work with. Use this cute squirrel and acorn activity to practice sorting numbers into evens and odds, or into number words and numerals. This set features numbers up to 24. The sorting category cards are also included. Practice sorting things into categories with these acorns cards. 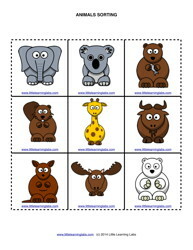 Squirrel sorting cards are also included for you to make your own custom categories to sort the acorns into. and many more possibilities exist! 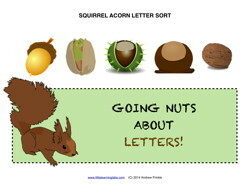 Make sure you check out the ready-made letters, math, and numbers squirrel acorn sort cards, too!